The winner of the 2018 Dartmouth Medal for most outstanding reference work, an annual award presented by the expert reference and collection development librarians of the Reference and User Services Association (RUSA), a division of ALA, is “The Music of Central Asia” published by Indiana University Press and edited by Theodore Levin,‎ Saida Daukeyeva,‎ and Elmira Köchümkulova. There are two Honorable Mentions this year “The International Encyclopedia of Geography: People, the Earth, Environment, and Technology” by Wiley and the American Association of Geographers and edited by Douglas Richardson, and “The Atlas of Ancient Rome” by Princeton University Press and edited by Andrea Carandini. 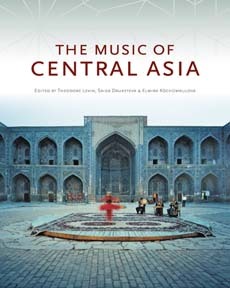 With contributions from 27 authors from 14 countries, “The Music of Central Asia” is an intriguing reference work that provides an informative introduction to the musical heritage of an often-overlooked region of the world. This resource will be useful in a variety of settings, from the reference desk to the classroom. It provides a companion website which is freely available, where viewers may access 189 audio and video examples accompanied by listening guides. The performances are wide-ranging, from practice sessions to formal demonstrations. Beautifully illustrated with sidebars and musician profiles and an illustrated instrument glossary, this is an extraordinary, affordable resource for all libraries. Compiled in partnership with the American Association of Geographers, “The International Encyclopedia of Geography” is truly comprehensive and global in scope with authors from forty-five countries across a variety of disciplines. Over one thousand entries illuminate this growing field from scientific concepts to social aspects. The online version has auto translation and promises to be continuously updated. “The Atlas of Ancient Rome” is an impressive piece of scholarship, copiously-illustrated, that has full-color maps and 3-D reconstructions of the city’s fourteen regions. This work covers the entire history of the ancient city. It includes profiles of major monuments and works of art and incorporates current archaeological findings using the latest mapping techniques. The Dartmouth Medal, established in 1974, honors the creation of a reference source of outstanding quality and significance. The award is given to the best new reference source published in the previous year (more precisely, the previous December 1 to December 1, as the source needs to be available for a sufficient amount of time to be adequately reviewed). It is awarded to a new publication, not a new edition. The Dartmouth committee, made up of reference subject experts from academic, public, and sometimes school and other libraries, receives nominations from librarians, editors, and publishers and spends countless hours reviewing copies throughout the latter half of the year. The Dartmouth Medal selection committee includes: M. Kathleen Kern, University of Georgia, chair; Brian Coutts, Western Kentucky University; Sara Duff, University of Central Florida, Janice Derr, Eastern Illinois University; Kathleen Gallagher, University City Library.